This species is often mistaken for Ruby Snapper or Flame Snapper, however the color and different shape of the mouth eyes and body help distinguish them. It is a member of the snapper family. These are deepwater fish found very deep, over 300ft below the surface. 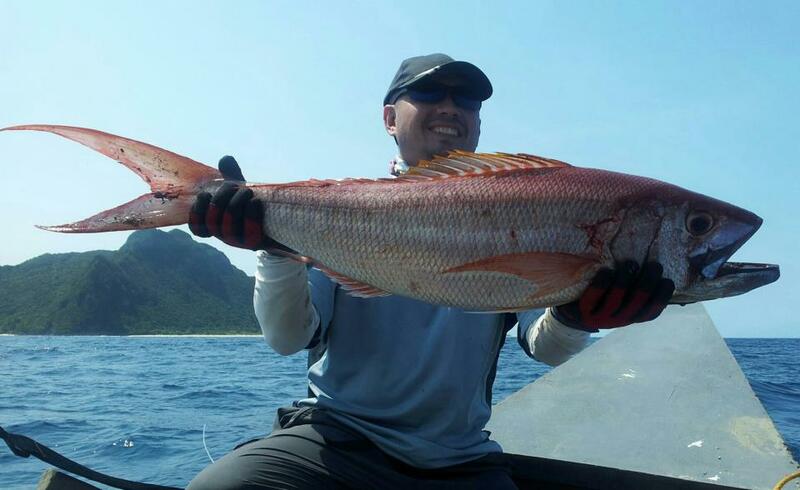 The fish pictured above was caught by Anthony while jigging 150g jigs off the coast of Northern Luzon. Posted on April 27, 2013, in Jobfish (Maya Maya), Snapper (Maya Maya). Bookmark the permalink. 2 Comments.